Wakefield District Harriers & A.C.
We hope that from these pages you will be able to find out about the history and current activities of Wakefield Harriers. For those requiring information about the club you will be able to find out About Us, where we are, our Contacts, and details of Membership. Or do a Site Search to try and find some particular information. For existing members there is information about fixtures, match and race News & Results, and all the Club Records. 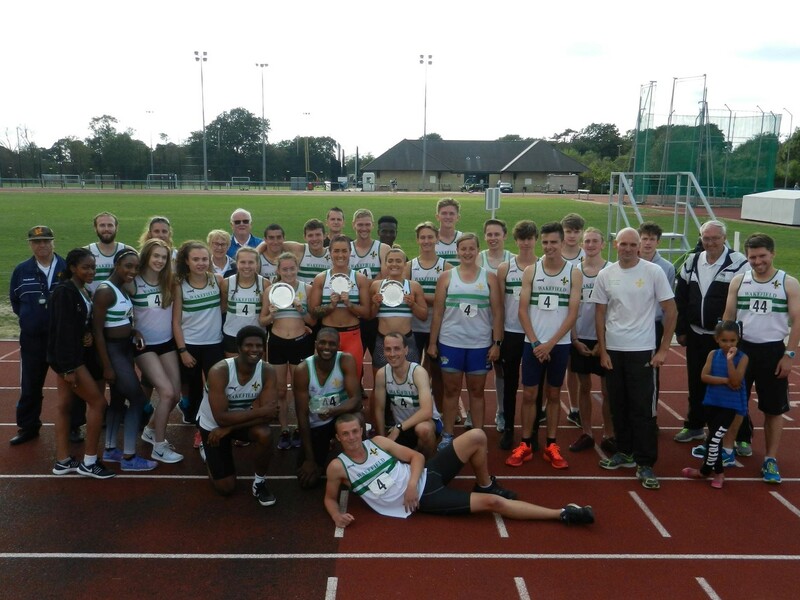 The Wakefield Harriers Senior Track & Field Team. Northern League Champions for the 5th time in 6 years! This is where you can buy clothing with the Wakefield Harriers logo on. The online store is now open again. The fee is now �15 per year for all competing athletes, and the the club has the task of registering athletes and collecting this fee. Please complete the EA Registration Form and hand in to the club cabin ASAP. If you still haven't registered then please complete the form and hand in to the club cabin. This form needs filling in by; officials, coaches & volunteers also. ASAP.